Since 1998 builder John Cotner has been a leader in the residential building industry in and around the Treasure Valley Idaho. His commitment to quality and continued education has made him stand out as an industry leader for custom home creation. Studio Boise is a residential design group that started with this idea. It was an idea inspired by Boise: an idea about how Boise really lives. How we live with bikes, parks, and rafts for floating the river. How we want a crisp, clean living room but will always have the kids’ toys littering the floor. It was an idea about the start up families recently out of college and the historic home renovators, the North End houses turned into multiple apartments, and the in-law quarters built up in the backyard. Our idea was to start designing the Boise community we love for how Boise residents really live. At Studio Boise, we design the home you want to live in and incorporate the function that matches how you live. Whether that means a kitchen renovation, adding more functional storage, or designing a new home from the foundation up, we design for you. And we love your style be it country French, Tuscan, craftsman, or an eclectic blend of your own making, we will bring it to life and customize it for you. Studio Boise is the source for home improvement that will create a home for the way you truly live. We accomplish this through renovation design, green remodeling, exterior remodeling, home additions, and the best house designs for new construction. We design with a sensitivity for your budget and are careful to never put money into building a space that will not be used to the fullest. We do not design until we meet you, know your project needs, your lifestyle patterns, and your vision. We even measure your furniture before beginning the interior design of your rooms to be sure that the homes we create are designed around you. Studio Boise is a design studio committed to you and the way you truly live. Vrba Interior Design and Finishes handles a immense variety of Design and Decorating - to fulfill your desires for the functioning and living spaces of your dreams. Our services are rendered throughout the United States. Our Interior Designs create enticing and inviting living spaces for both Residential and Commercial applications. We create Home Interior Design, Commercial Interior Design and Exterior Design concepts with an Interior Designer that works start to finish to give you exactly what you desire. Our Designs utilize many phases of Decorative Finishes along with appealing Accessories and Artwork to create an atmosphere that you will never want to leave! Designed and custom made Home Accessories can be produced especially for you. Vrba Finishes can also work under the direction of any Interior Designer, Architect, Builder and Contractor. 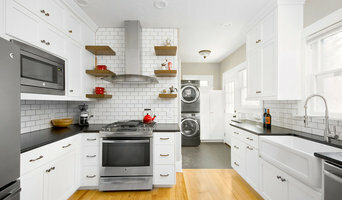 3x Best of Houzz Winner! We help our clients custom design a floor plan and interior/exterior finishes to fit their lifestyle and budget. Cody Weight, President of Solitude Homes and family man of four kids under the age of 10, grew up on the construction site in Utah. At a young age he was introduced to a set of building plans, and this early training and understanding of how plans work has helped develop into a true customer builder. Cody loves working side by side with his clients to design their dream home and often times from scratch in order to help his clients get exactly what they want for the budget they have. In 2002 he graduated from the University of Utah with his Bachelors Degree and a number of awards as a student athlete. Cody was named team captain for the Utah Utes football team, special teams MVP and received the covenanted “big play leader” award as a corner back. He also excelled in academics gradating with honors prior to moving on to play 4 more years of professional arena football as a DB/WR and finishing his career with the Boise Burn in the AFL 2 league. Cody has a passion for service and teaching, and he hopes to inspire the youth to work hard and dream big. Once a week he trains young athletes in speed and agility, serves as a Boy Scout Leader and finds time to fulfill his duty on the Board of Directors for the Building Contractors Association of South West Idaho. Paradigm Construction is a custom home builder located in Eagle, Idaho. We are setting the new standard in the Treasure Valley for high quality, innovative residential construction. With over forty years combined experience in the residential construction industry, the founders of Paradigm Construction have the expertise, and knowledge to turn your dream home into a reality. Our commitment to superior quality is unsurpassed. We uses only the finest building materials that must meet strict quality assurance standards. Because of our attention to detail you’ll have the confidence knowing that the home we build for you will last for many generations to come. With a commitment to quality and total client satisfaction, Paradigm Construction has the ability to provide its clients with that personal touch service. When you choose to build your home with us, you will find that one of the owners are working on-site everyday, and always have time to answer your questions and remain flexible to serve your unique individual needs. MD Fletcher LLC, is a locally based and operated general contractor focusing in the design-build of custom decks and outdoor living structures, custom home building and remodeling, commercial new construction and tenant improvements, and small multi-family projects. We utilize a design-build and construction management directed approach for many of our projects. We feel this not only helps to better assist our clients in building there project, but also make our clients a part of the building team. Let's Build Your Future Together! Our unique team can help you with building lot and real estate searches, financing questions, custom design, and overall value. The Owner has a Bachelor’s degree in Construction Management from BYU and the design/artistic ability to capture your dream home qualities. Gammill Construction, Inc. has been in business in Boise since 1975. Originally, the company specialized in construction of custom homes, as well as providing consulting services to apartment and commercial developers. Since 1980, however, the company’s primary business has been residential remodeling and that currently is the company’s only business. Gammill Construction, Inc., is a founding member of the Idaho Chapter of the National Association of the Remodeling Industry (NARI). Tim has earned the NARI designation as a Certified Remodeler (CR), which required extensive experience, specific preparation, a day-long examination, and continued industry education. Gammill Construction, Inc., has also won numerous industry awards, including category-specific awards for particular projects - Regional Contractor of the Year award in 2005, and Remodeler of the Year awards in 1999, 2000, 2005, 2006, 2007, 2012, 2013 2014, 2015 and 2016. Gammill Construction, Inc., is committed to providing its remodeling clients with a high level of service, quality, and satisfaction. Carpentry work is done by payroll employees. One has been with the Company for over thirty years. Most other work is done by selected subcontractors, many of whom have also worked with the Company for many years. They represent a team committed to your satisfaction. Rather than being a “jack of all trades, master of none,” each is the best at what he or she does. Clark & Co Homes has a passionate team of designers, contractors, and salespeople to assist you in the very important adventure of building a beautiful home...your home. Jared Ramey Building Company specializes in the design and building of custom homes, remodels, additions and entire home make-overs. We look forward to working with you on your next project! A design and build company does pretty much what it says on the tin – designs and builds your home; helping you design your own house from scratch, pick out the small details and actually bring your dream home to life. They will take on the responsibility of planning the project, drawing up the designs, costing, sourcing the building materials and supplies, building the structure, installing any permanent features and possibly advising on the interior design of your home; all while consulting you every step of the way. 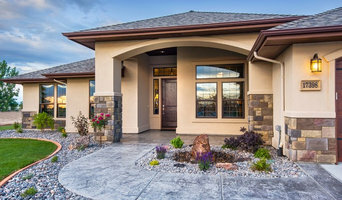 A design and build company in Boise, ID will usually employ in-house architects to handle all of the technical design aspects of your renovation or build, whether that’s to design a house or just a kitchen, and will also have main contractors or project managers that will oversee the construction work. The project managers will either work with external building contractors or construction companies, or the design and build company may employ their own builders to carry out the construction work. Either way, all the work is managed by one company and so this means communication is easier and the work is more streamlined. You’ll probably have just one design and build contract, making responsibility simpler and clearer, and also reducing costs for you. However, you should always check this design and build contract closely to see exactly what the firm is agreeing to take responsibility for, so that you don’t get left in the cold at any point. 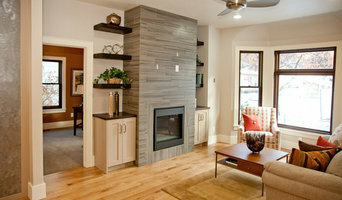 You don’t have to build your own home to hire a Boise, ID design and build firm. 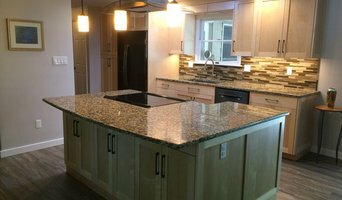 If you are renovating one or a few rooms of a house, a design and build company in Boise, ID can still help you – they can design a kitchen, bathroom, bedroom or living room and then complete all of the renovation work for you. This could be a really good option if you are selling your home and want to increase its value quickly – hire a design and build firm in Boise, ID to redesign and renovate a few rooms of your house without the hassle of dealing with various professionals or the time-consuming effort of doing it yourself. If all of this sounds ideal, then start searching for design and build procurement companies in Boise, ID that can design a house, or room, for you and discuss design and build contracts with you. If you want to look for more specialised contractors, designers, architects or builders to help you renovate or build your own home, then you can still find them on Houzz. Here are some related professionals and vendors to complement the work of design & build: Interior Designers, Landscape Architects & Garden Designers, Architects & Building Designers, Photographers. How long have you been an established design and build company in Boise, ID? Find a design and build company on Houzz. Narrow your search in the Professionals section of the website to Boise, ID design and build contractors. You could also look through Boise, ID photos to find a project you like, then contact the design and build company in Boise, ID that created it.